Our friends at Republic of Austin and Austin Music People have been herding cats in order to get Austin's music bloggers to work together. 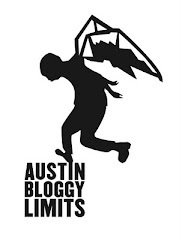 It seems as though they've pulled it off too because in a few very short works we will be hosting the first ever Austin Music Bloggers Awards. This event will take place at Spiderhouse Ballroom on February 27th. We encourage everyone to buy tickets in advance, they are $12 and all proceeds go toward Austin Music People. If you wait until the day of the event, you risk the event being sold-out AND tickets go up to $15 on day-of. There will be two sets of awards given out as well as live music from some of the Austin Music Bloggers' favorite local artists. Some of the awards will be voted on by YOU and some of them will not. If you want to see what awards you can (and should) vote for there's a list right here. The music blogs behind the awards that will NOT be chosen by the public are: Austin Town Hall, Austin Writes Music, OVRLD, Pop Press International, Red River Noise, Republic of Austin and Ultra8201. For my money the awards part of the evening is mostly a way for me to hang out with my favorite bands in town. There are bands I love who didn't receive any nominations and I'm sure there are bands who will win that I don't think should win. I'm sure there are artists that you would like to have been recognized who were not but that's the way things go. Awards are subjective, taste is subjective but we're hoping that this event is a way for all of us who always see the same people out at shows to hang out. Also, who doesn't want to win an award? I want to win an award. So, there you have it. Are you enticed to go yet? If you're not, that's cool but I'm still going to be hitting your social media about this event for the next two weeks so you might as well just get on board. Ya heard?! ?